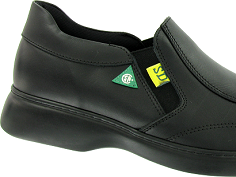 Protective footwear is critical in keeping your feet safe from potential hazards in your workplace. Moving machinery, falling objects, corrosive chemicals, tripping hazards all pose a danger to your feet. The most common causes of foot injuries in the workplace: crushing and/or puncturing of the foot from falling or sharp objects, and slips and falls. Needless to say, protective footwear is an essential part of any PPE program. Proper footwear isn’t only used to protect your feet; it also provides comfort for workers’ feet when standing for long periods of time. 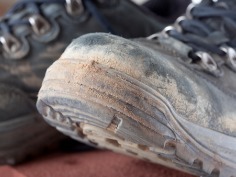 One of the leading causes of accidental foot injury is fatigue. When wearing a comfortable shoe or boot, employees will become less tired during the day, and less likely to injure themselves. It’s essential to select the appropriate footwear for the job you’ll be doing. Not all safety footwear is created equal – and those little symbols you see on protective footwear actually mean something! You can see what all those symbols mean here. Levitt-Safety carries safety footwear from manufacturers like Baffin, Honeywell, Royer, Dynamic, Viking, Onguard, and more. 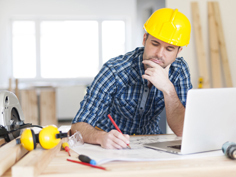 Need help selecting the appropriate safety footwear? Get in touch with us today.